If you’re managing a Project Management Office (PMO) or just responsible for improving the project management culture, you may be faced with the question about just how much change management to implement. The Project Management Body of Knowledge (PMBOK® Guide – Sixth Edition) is filled with good practices, but trying to implement even half of the PMBOK® into an emerging project management culture would be risky. That said, in my opinion, change management process is absolutely mandatory in any project management culture, especially emerging cultures. Customer’s become confused on what they are receiving vs. what they committed to receive. Customer’s become comfortable with you adding scope and may request additional features. Suddenly asking for additional funding may send mix messages. A contractor who’s not charging for additional value they bring to their customers is misusing corporate resources and not managing the expectations of stockholders. Proper change management is crucial in any project environment. 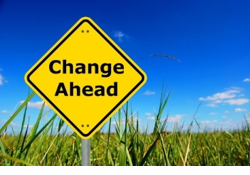 Developing a repeatable change management plan that mandates when and how change will be processed on project work is the first step. Creating a simple change request form to document and communicate the impact of project changes should be a incorporated into the change management plan. Contact me a jdlauni@projectmanagementexperts.com and I’d be happy to send you a sample change management plan that you can customize to your unique project environment.